The United States has been combating the Ebola epidemic since the first cases were reported in March, and we have expanded our efforts and increased personnel in the region as the crisis has unfolded. More than 120 specialists from across the U.S. Government are on the ground in West Africa to prevent, detect, and stop the spread of this disease. USAID deployed a Disaster Assistance Response Team—or DART—to the region to oversee and coordinate the U.S. response, providing logistics, planning, program, and operational support to the affected countries; drawing forth critical assets and resources from several U.S. departments and agencies. This crisis continues to escalate exponentially and requires an intensified speed and scale of response to address a rising rate of infection. It has quickly overwhelmed West Africa’s health system: new Ebola victims fill medical facilities faster than new ones can be established. Heroic doctors, nurses, and health workers are stretched to their personal and professional limits. That’s why yesterday afternoon President Obama announced a significant expansion of our response. Our goal is to enable the most effective international response possible, using our government-wide capabilities to fight the epidemic on a regional basis. 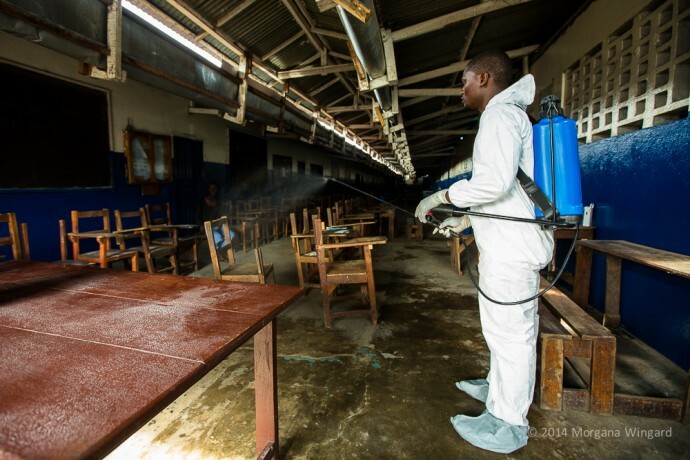 Our current efforts have focused on controlling the spread of the disease—bringing in labs for specimen testing; supporting the construction and management of Ebola treatment units; airlifting critical relief supplies; strengthening emergency response systems of the affected governments; supporting burial teams who are safely managing human remains to prevent transmission; and spearheading mass public awareness campaigns with communities to describe how to prevent, detect, and treat Ebola. To complement these efforts, the President also announced the launch of the USAID-led Community Care Campaign, which will aim to provide every family and every community the critical information and basic items that can help protect them from this deadly virus. 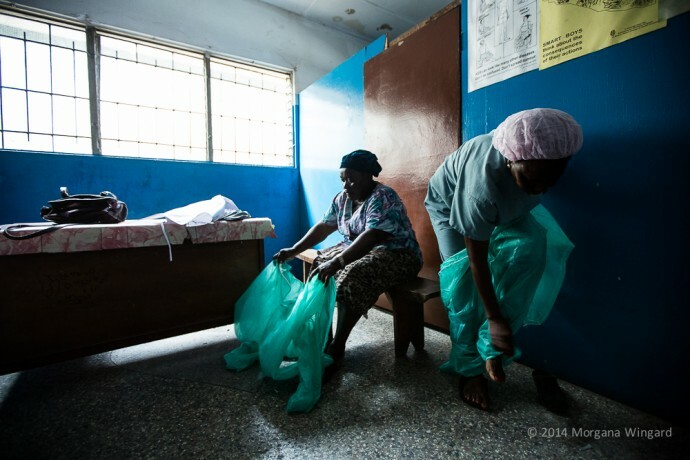 Information will stress the importance of sick families members seeking help at a clinic or Ebola treatment unit and how to exercise basic infection control that can be life-saving, such as washing hands or not washing their dead relatives. Items like soap and chlorine can reduce transmission. Women are especially important to reach given their traditional role in washing the bodies of dead relatives — a prime transmission route of the virus. To reach people with low literacy, the campaign will train health volunteers and community leaders on how best to verbally provide messages to their neighbors. 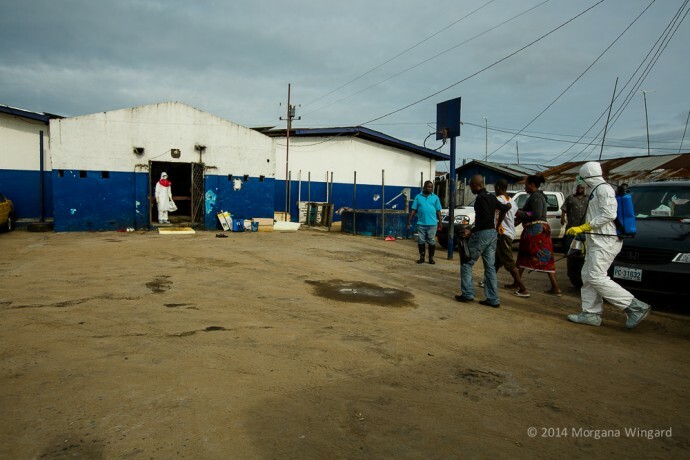 Partnering with the affected countries, the U.N. Children’s Fund (UNICEF), the Paul G. Allen Family Foundation, and organizations on the ground, USAID will initially target 400,000 of the highest risk households in Liberia with this vital training and important tools. The campaign is also rooted in a sobering reality. Half of all people who get sick don’t seek treatment at hospitals or Ebola treatment units. Many are frightened by rumors and deterred from traveling to hospitals where their friends and neighbors are taken and never return. A complex array of traditional beliefs and practices mean many of those who should seek help choose to stay in their homes – often putting those family members who care for them at risk. This week, working alongside the Paul G. Allen Family Foundation, we will airlift 50,000 USAID-funded home health care kits to be delivered to some of the most isolated and vulnerable communities in Liberia. We will simultaneously work with every part of society to educate people on how to prevent and detect Ebola through mass public awareness campaigns supported by radio, text, television and community announcements. As we scale up our response, the only way the virus will be controlled is if we make concerted efforts to reach every community, and every home in the affected areas. We know tough months lie ahead. It will require a coordinated effort by the entire global community to help stem this terrible public health crisis. But every outbreak of Ebola in the last 40 years has been stopped, and this one will be, as well.